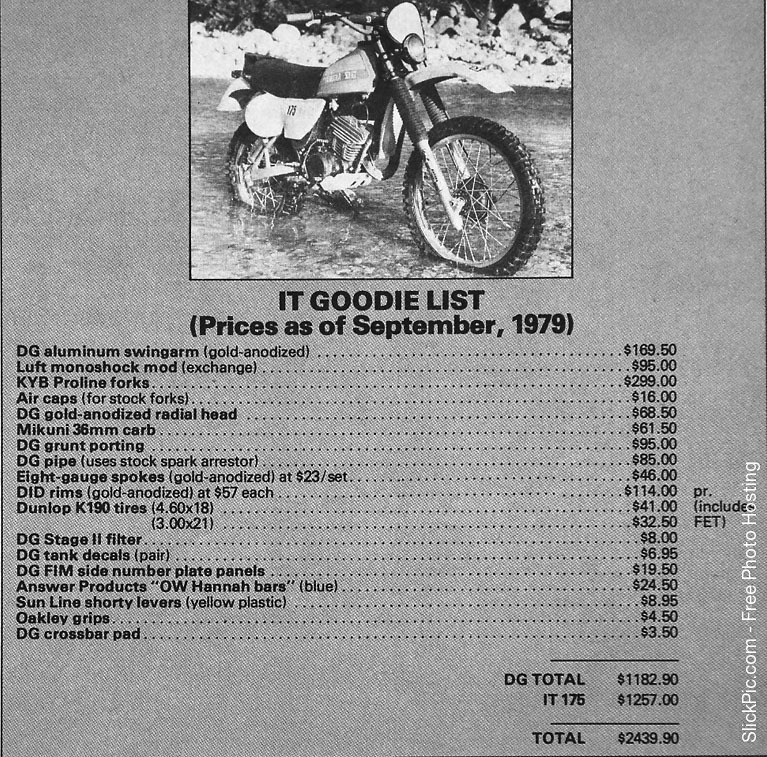 That would have been a pretty good bike for sure it is nearly as dear as the whole bike though there wouldn't have been big heaps with everything on that list imagine trying to gather all that gear now would cost a fortune if you could find it. pe400x2 74gt80a 76rd250cd mt250 wanted tm400 project and suzuki pe parts. Yes you don't see people these days spending $12,000 odd on a bike and then spend that again on improvements. Improvements like that probably not necessary on new bike imagine someone telling you they bought a new bike and changed the forks swingarm and shock and head it wouldn't make sense. A lot of the mods were legitimately needed back then eg good unbreakable levers like Maguras and folding tip gear levers, but these days bikes are really good out the box and main thing people do is individualisation of cosmetics or different tank or bars. i was still surprised to see a modern 690 KTM that did not have a folding tip brake pedal though. What magazine does this scan come from? Is there a full article?